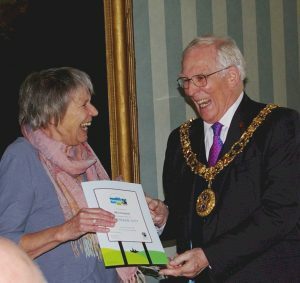 Winchester has now been recognised as a Fairtrade City for ten years. 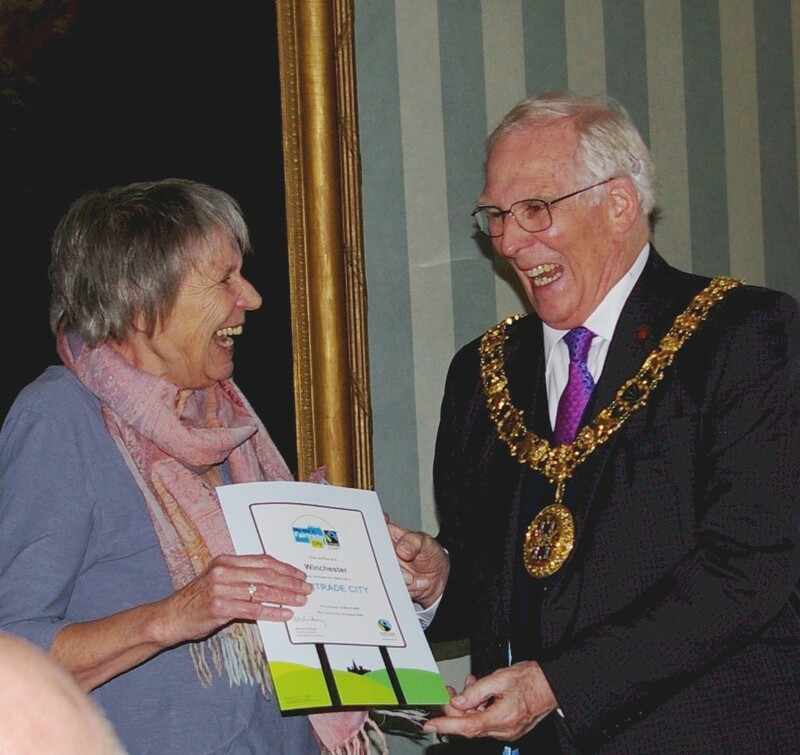 In celebrating this anniversary we were delighted to hear that our Fairtrade City status has been renewed by the Fairtrade Foundation for a further two years. The Mayor of Winchester, Councillor Frank Pearson, hosted a celebration of this double milestone at Abbey House, his official residence in Winchester, on 21 November. This was attended by City Councillors, business leaders, representatives of community groups and other supporters. Charlotte Bailey, Chair of Winchester Fairtrade Network, laid out some of the Network’s aims for the next two years and beyond. The value of Fairtrade is widely recognised in the City but much remains to be done. We would like to see more Fairtrade goods – guaranteed by the independently certified Fairtrade Mark – available in our shops and supermarkets, and used in workplaces. We would like to see the issues around Fairtrade understood and promoted in our schools. And we would like to extend our Fairtrade City status from the area of the historic city to cover the whole City Council area.